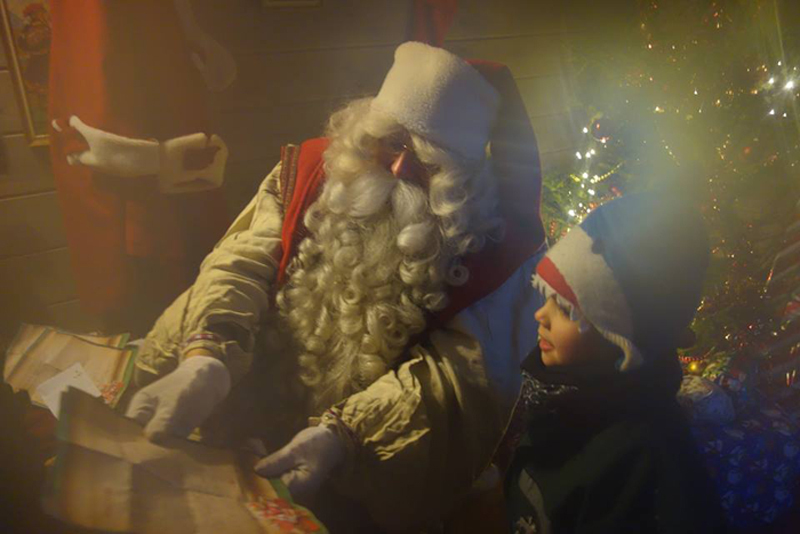 Santa’s Grotto, Lapland, is hidden in the snow-clad forest near the small town of Saariselkä, and on our exciting holidays every family has their own private meeting with Santa there. 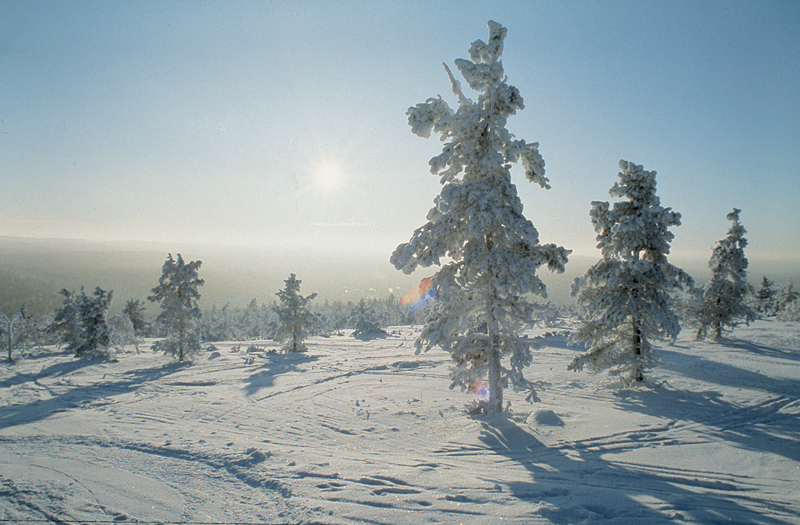 As Santa’s grotto is some 250km inside the Arctic Circle, it’s surrounded by a winter wonderland of pine trees glistening in deep, pristine snow, so there are many amazing and memorable activities to be enjoyed. First you have to find Santa’s Grotto but don’t worry, you won’t get tired because you can take a wonderful reindeer sleigh or snowmobile-sled ride and glide there easily. Santa’s mischievous elves will guide you through the snow - but watch out they love a game of snowballs on the way!.Try and see if you can spot them playing in the picturesque woods before they see you. You might hear their jingly bells and catch a glimpse of their bright red and green outfits. Santa will be in his grotto looking forward to your arrival – and he’ll be checking his list to see if you’ve been good or bad! He reads his letters, including yours, in front of his fireplace where it’s nice and cosy. Don’t forget to post your letter before you come on holiday to see him though. Get ready to see the look of awe on your children’s faces when you walk through Santa’s door into his magical log cabin. While you sit with him, Santa will want to hear all about your family’s Christmas wishes and chat about the letter you sent him. Don’t be shy. ask him all the questions you might have – and he may even tell you a few Christmas secrets. When it’s time to say goodbye, Santa loves giving the children a special Lapland present that his toy-maker elves have been busy making. The magical adventures don’t end after your visit to Santa’s Grotto. The festive, illuminated trees will light your way through the sparkling Arctic landscape, where you can visit two enchanting igloos. One of them, called Elf Wonderland, is where Santa’s Christmas helpers are busy checking and wrapping every child’s Christmas presents. When they see you they’ll want you to join in some fun and games with them. Then there’s the Artistic Igloo, where you can see the magnificent ice sculptures of glacial animals and enchanting figures. To warm you up after your icy encounters, stop at the Ice Bar for a delicious hot drink – or something stronger! 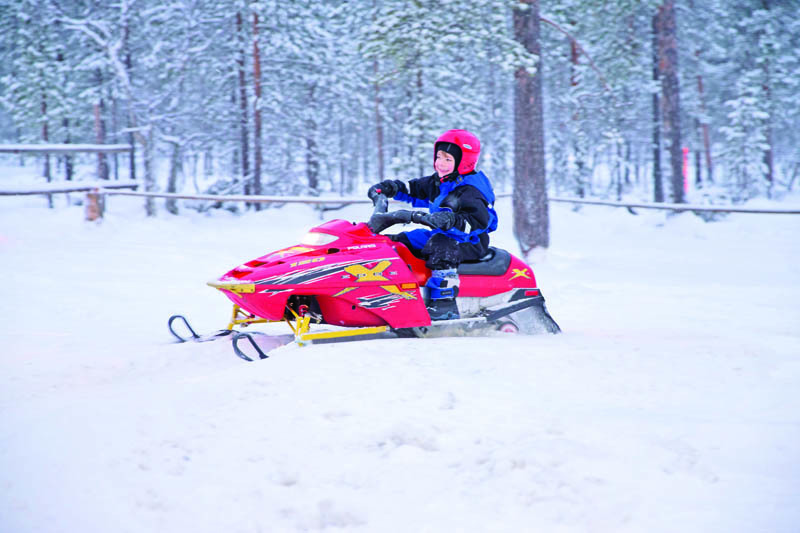 Once you’re ready to go again, there is a vast range of fantastic activities to try, including whooshing through the woods on a husky sleigh ride, kick-sledding, ice-fishing, snow hockey, mini skidoo rides for the children, tobogganing and skiing. You’ll remember your snowy holiday to visit Santa’s Grotto forever afterwards! One last tip: Don’t forget your camera! Bring your camera to snap a few special photos – the elves have been practising and love helping out by taking some of all of you with Santa. Choose your trip to Santa’s Grotto now! We offer three or four-day adventures - you can choose between Santa’s Magic or Santa’s Aurora trips, both with fabulous optional activities, staying in a family-friendly hotel or woodland log cabin. This is a holiday where dreams come true – for the adults as well as the children. Hurry though as, unsurprisingly, everyone wants to visit Santa’s Grotto, Lapland, so trips get full quickly. Book early for extra discounts off children’s prices.